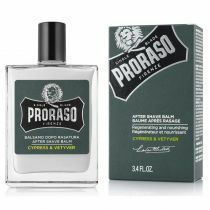 Proraso’s After Shave Balm gives immediate relief to irritated or sensitive skin. With Green Tea and Oatmeal extract to soothe. Created by Ludovico Martelli over 80 years ago, in Florence, Italy, these one-of-a-kind shaving preparations are still being made in the time-honored traditional way by the Martelli family. Proraso’s Liquid After Shave Cream gives immediate relief to irritated or sensitive skin. 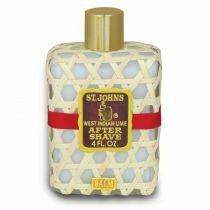 This alcohol-free formula combines the benefits of a balsam, which prevents razor burn, with that of a cream, which moisturizes and protects. Also enriched with vitamin E, which has an anti-free radicals effect and leaves the skin looking younger. The oatmeal extract has a moisturizing and soothing effect that will not disturb the skin’s pH. The green tea is a natural antioxidant rich in polyphenols and minerals. No alcohol, no parabens, no silicons, no mineral oils, and no artificial colors. This was for my dad and he loves it, very smooth texture and doesn't burn his face. What I like most about this after shave cream is the fragrance. Real old school. Like the barber shops I went to as a kid. It brings back great memories of what shaving used to be like, and what it should be. Proraso shave products are really good stuff and this is a winner as well. Not greasy or diluted. 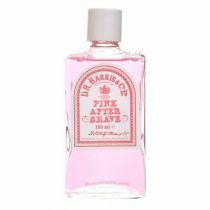 Just a good old-fashioned after shave cream that feels and smells good. Aqua (Water/Eau), Ethylhexyl Palmitate, Octyldodecanol, Glycerin, Aluminum Starch Octenylsuccinate, Sodium Lauroyl Glutamate, Aloe barbadensis Leaf Juice, Prunus amygdalus dulcis (Sweet Almond) Oil, Tocopheryl Acetate, Avena sativa (Oat) Kernel Extract, Camellia sinensis Leaf Extract, Thymus vulgaris (Thyme) Flower/Leaf Extract, Parfum (Fragrance), Sodium Benzoate, Phenoxyethanol, Sodium Hydroxide, Disodium EDTA, Carbomer, BHT, Limonene, Linalool, Citral, Hexyl Cinnamal, Geraniol, Citronellol.